This site is about one of my hobbies; astrophotography. Today professional astronomers use very large telescopes, even in space. They also use radio signals, infrared, UV and X-rays. Recently ultra high energy cosmic rays are also used to study our universe. 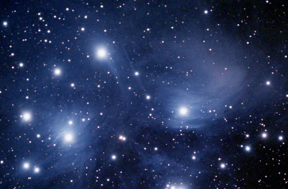 But because of the increasing development of CCD-chips for digital imaging, very good CCD-astrocameras have become available for amateur astronomers also. This, and the fact that extremely good telescopes have become very affordable nowadays, caused a tremendous increase in the interest in astrophotography. Despite the fact that imaging conditions in the Netherlands are probably the worst in the world because of bad seeing conditions and our well-known and often painted Dutch clouds in the sky, even here below sea level, amateur astrophotographers manage to obtain great images of planets and deep sky objects. Astrophotography has a very steep learning curve. The help and tips of experienced photographers is of great value. Ian King has a great online shop, gives superb service and is a top astrophotographer himself. 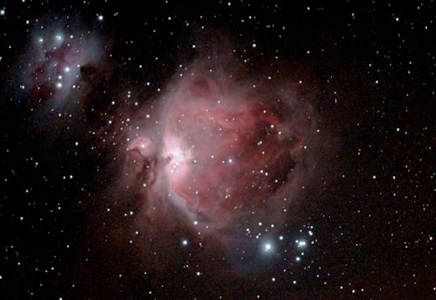 He also organises an interesting course for beginning astrophotographers. Wolfi Ransburg has a big on-line shop in Germany and gives good advice also. In the Netherlands also Robtics has a rapidly increasing, good priced, product line. Ad Matthijs builds pedestals and mounts and sells among other things Orion Optics telescopes. At a special occasion my wife gave me a telescope. Since photography is a live-long hobby, astrophotography was a logical next step. Rapidly I became infected with well-known entities like aperature-hunger. All images on this site are made by the author, unless other wisely stated. A very big problem is the heavy light pollution in our region as the little image below shows very clearly. Some links to organisations against light pollution are given below and you can become a member here. Because I live just south of Nijmegen, imaging the northern sky is difficult. Unfortunately also on the south side more and more light pollution appears. Besides Soccer and Hockey fields more people install ridiculous strong garden lights and a garden centre even installed a sky beamer!